*A rep for Sean “Diddy” Combs has released a statement regarding the exact nature of his injuries sustained in a car crash Wednesday in Beverly Hills. Initial reports indicated that he was okay, but sustain some injuries that had yet to be explained. 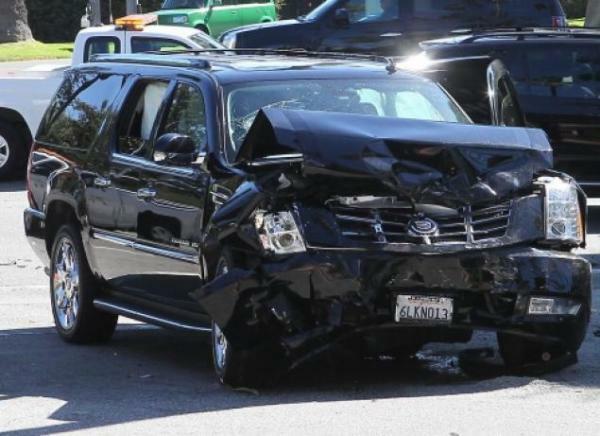 As previously reported, the 42-year-old rapper’s chauffeur-driven Escalade was crushed when it collided with a Lexus RX outside the Beverly Hills Hotel. Diddy was overheard telling police he would ”seek his own medical attention” following the accident. His driver and fellow passenger, believed to have been Andre Harrell, were not taken to hospital and the vehicle was later towed away. But the driver of the Lexus was said to have received unspecified injuries and taken to hospital.